This course will take place on 21-24 February 2019 in Bogota, Colombia. Delegates of this course will be given 12 months of Basic ISUOG membership. This 4 day long approved course will take place in Dubai from the 20th to the 23rd of February 2019. The course is directed by ISUOG international faculty member Dr. Gihad Chalouhi, and will be conducted in English. Limited to a maximum of 100 participants, this three-day course will be held in Israel and will consist of frontal lectures, demonstrations and simulations of all the pathologies presented. The course is directed by Prof Gustavo Malinger and Dr Michael Brusilov and will be conducted in Russian. The speakers at the course include Prof Igal Wolman, Dr. Dan Valsky, Prof Israel Meizner, Prof Reuven Achiron and Dr Zvi Leibovitz. This 2-day course is being organised by the Cairo University on the 7th and 8th of February. The course directors are Prof Rasha Kamel and Prof Mohammed Momtaz. Organised by Sevicio de Obtetricia y Ginecologia in the city of Las Palmas, this two day course on update on first trimester ultrasound will be delivered in Spanish. The venue of the course is Salon de Actos del Complejo Hospitalario Universitario Insular Materno Infantil de Canarias. This advanced course will take place at the Medicinskt forskningscentrum, Malmö, on the 21-25 January 2019. 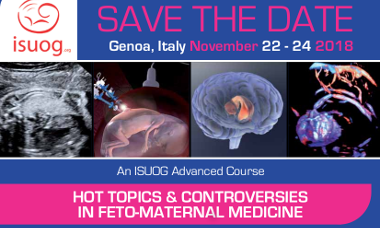 The course will be directed by Prof. Lil Valentin, Prof. Povilas Sladkevicius and Prof. Ligita Jokubkeine, who are all members of the ISUOG International Faculty. 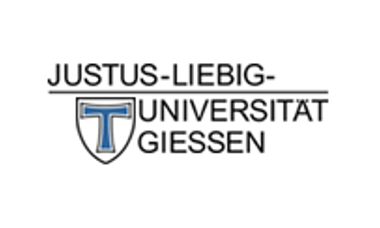 This ISUOG Approved Course will take place on the 10th-12th January at the Justus Liebig University, Giessen. ISUOG international faculty members speaking at this course include Prof. Kurt Hecher, co-chair of the 29th World Congress on Ultrasound in Obstetrics and Gynecology in Berlin. Organised by The Chinese Fetal Medicine Foundation, the course will be held at the Xin Cheng Hotel in Hohhot city (China). The course will be delivered in Chinese. This approved course will take place on the 13th December 2018 at the Crown Plaza Hotel in Muscat, Oman. The organising institution is the Oman Society of Obstetrics and Gynecology. The course is being directed by Dr. Mouza Al Salmani. Other speakers include Prof. Hisham Mirghani (ISUOG ambassador to UAE and Middle east) and Dr. Asma Khalil (ISUOG ambassador to Egypt and North Africa). This approved course will take place on the 7 December - 9 December 2018 in Athens. 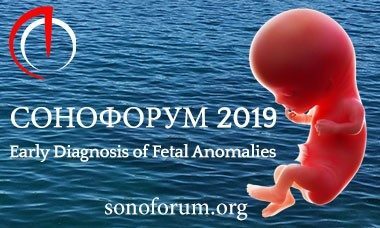 This course is being organised by the Hellenic Society of Ultrasound in Obstetrics and Gynecology. Dr. Katia Bilardo, an ISUOG International faculty member and the President of ISUOG will be one of the speakers at the event. This approved course will take place on the 29 November - 2 December 2018 in Fort Lauderdale, Florida, USA. 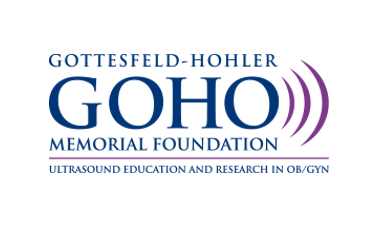 This course is being organised by the Gottesfeld-Hohler Memorial Foundation and the course directors are ISUOG past President Dr Lawrence Platt and ISUOG President Prof. Joshua Copel. Other members of the ISUOG International Faculty speaking at this course are Dr Alfred Abuhamad, Dr Beryl Benacerraf, Dr Greggory Devore, Dr Helen Feltovich, Dr Steven Goldstein, and Ilan Timor-Tritsch. This course includes 22.25 AMA PRA Category 1 Credits™. This course will be delivered in English and Italian, and will be directed by Dr Dario Paladini, a renowned member of the ISUOG International Faculty. It will take place on the 22-24 November 2018, at the Magazzini del Cotone, Genoa.